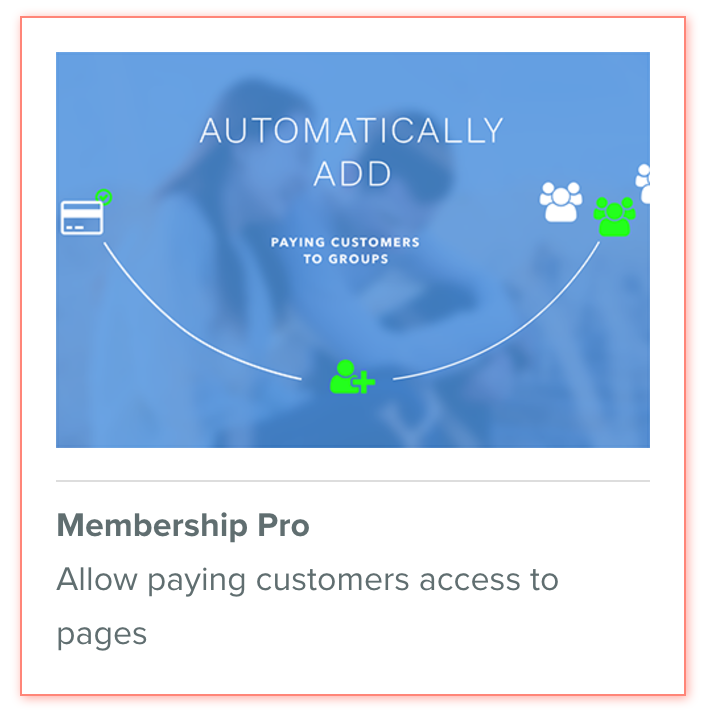 ​With Membership Pro you allow paying customers to become members of groups on your site. These groups would receive access to pages linked to a specific product. The whole process and payment validation is happening automatically, so no worries for validating users and payments on your end.